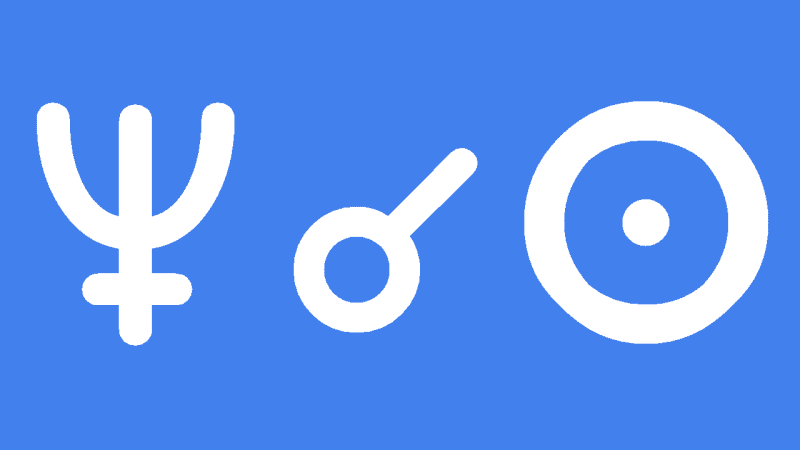 Neptune conjunct Sun transit can open you up to a more spiritual outlook on life which can be very illuminating but at the same time make you feel very vulnerable, as your previously well-defined self-image and personal boundaries start to dissolve around you. We are not isolated beings, and this transit brings mysterious experiences, imagery and intuitive feeling that helps you “see” the energy that connects you to other people and your environment. If you have been interested in the spiritual, the religious or occult for a while and have a good handle on it, then this transit will suit you well. You can look forward to even greater illumination, closer union with the spirit world, and more sensitive and compassionate relationships. Some people will find the dissolving of boundaries and the piercing of the ego more frightening. If your place in the world was based on egocentric drives, in ignorance of how your energy impacted on others, then the influx of psychic energies will be a threat to that fortified ego. The result may be an erosion of self belief, confusion and doubts which can lead to insecurity and over sensitiveness. You may be subject to deception or treachery from others. During this transit you may have to accept just how intertwined you are with the people around you, and with the energies that most of us cannot see. Remember you are a part of the whole, trust in your spirit guides. Your pineal gland, brow chakra, or third eye, is being activated. Meditation, spiritual studies and lucid dreaming will enhance the journey. Though you may find some benefit from, and even have a stronger desire for mind altering substances, it is very important to only use these ceremonially, in moderation. Smoking pot every day or turning to the bottle would bring out the very worst of this transit, self-delusion, addiction, victimization and miserable self-pity. I am a Sagittarius born December 11, 1951, 1:15 pm EST at Cleveland, Ohio. I am making a comment primarily because I am looking at what other astrologers have to say about the current conjunction between the transiting Sun and transiting Neptune. In my chart both are transiting through my natal 12th house. At the current degree (7/8) Pisces there is no aspect to any other section of my chart. However, I am of the opinion that Neptune rules Sagittarius and Pisces along with Jupiter and it is extremely important to me to delineate this Neptune transit through my t2th house in that it will be in effect until 2026 and is complimenting in tandem the transit of Pluto through my natal 10th house which will be in effect until 2024. I know that I have had an experience with my spiritual “teacher” (though he would not appreciate at all being called this) which helps to confirm the developmental road I have chosen to travel and I wanted to attempt to share some of this especially as it may pertain to Sun/Neptune interpretations. The relationship between these two planets always involves some measure of the deflation of the ego and what might be called a de-focusing of the image one has of oneself up until this point, unless that image is inline with the more spiritual aspects of one’s nature, of one’s character. What my Baba was able to help me see was a somewhat debilitating and deflating reflection of my “self” as it is and not as I would to be. The day we had an initial conversation the feeling for the rest of that day was almost a complete, total depression. I decided not to go anywhere that day (a decision made easier by the fact the temperatures here in Cleveland have been below zero to single digits for the past several days). A good thing concerning this was the fact I knew of this transit though I hadn’t thought much about it before this conversation and during some subsequent exchanges between us over the last few days concerning some DVD’s (another Neptunian area – film and fantasy -) he diligently turned my attention to myself as I am, which was a painful experience but one that is necessary if one wishes to be honest (a Sagittarian keyword) in fact as well as in potential. What is interesting for me is the fact that I could see how if I were as identified with myself as I have been say 20 years ago, I would have succumb to the feelings of depression and self-pity which would tie me ever more tightly to this image of myself which is not the true, the “authentic” me. It is also interesting that he was saying in so many words the same thing which was being said in a book that one of the spiritual teachers of the 20th century was speaking about though he doesn’t know that I happen to be reading this material at this time. So the effect is that of both reading and hearing the notion of reality simultaneously has had a weird effect to say the least. (also most likely attributable to Neptunian affects). At any rate just thought I would share this bit of astrological insight. I am a 11 degree Pisces Sun which sits in my 2nd house conjunct the 3rd (I have a stellium in this house as well as my 9th house? I am a 25 degree Sadge rising. Saturn opposes my Sun. I can tell you Neptune to the Sun has been HELL! Pluto transit my 1st house has and is HELL. I have so much going on in my life, so many losses. I don’t know how I have been able to get through this thus far. The sad part is I just turned 66 years old. I have no idea how I am going to get through all of this……it’s tough…….really tough……. I’m afraid Saturn square Neptune this year is making this transit much much harder than it would be on its own. Hang in there! I’m trying. Everything is extreme………thank you for responding! I also have a 11 degree Pisces sun in my 8th, so i totally understand what Claudia meant. Moreover, I have Uranus and Jupiter conjuncting and squaring my sun. So now, Neptune is sitting upon my sun and Saturn is sitting upon my Uranus/Jupiter. I have lots of Pisces in my chart and the above transit certainly applies. The issue I have w/astrologers is that their definition of Neptune always implies charity toward other humans. Uh-huh… I happen to prefer animals and plants. And my charitable impulse will always find an outlet there. The Pisces and Neptunian archetypes understand that we are closely intertwined with the natural world. But who cares about wildife these days or trees? A very small number of humans, for sure. (And I’m not talking about climate change — which is a catch-all term that ends up turningo off many people. I’m talking about caring about other beings that live on the planet alongside us. They too evolved here and have an equal stake). Astrology on the web over-emphasizes human affairs. It’s a total turn-off… We can’t afford it, anyway… Please try to rectify this oversight and include other beings in your definitions. Thank you.